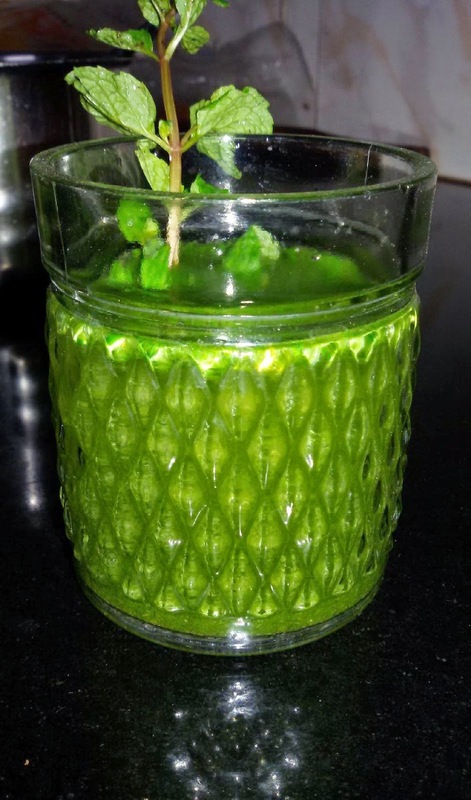 A refreshing drink that's also an excellent appetiser and is a great accompaniment for most Indian chaat (snack) dishes. 1. Grind together coriander leaves, mint leaves, green chilies and 2 tsps lemon juice to a fine paste. 2. Transfer to a bowl and add salt, black salt, chaat masala, pepper powder, remaining lemon juice and jeera powder. Mix well. 3. Dilute with as much water as required to make 2 glasses, taking care not to add too much. Stir well, add ice cubes and serve, sprinkled with the crushed jeera.